Book Corner: Families Put the “Fun” in Dysfunctional! And, in the name of said research, you can visit the Virginiana Room at Fredericksburg Branch and access untold troves of historical documents for your pleasure. You can even book a Training-on-Demand session at any of our branches to get you started on the pursuit of your zany family history. If you’re a DIYer, visit librarypoint.org/genealogy for a librarian-curated list of free resources. Okay, so you’re interested in your family tree, and you also need a dose of pure escapism...or at least some tales of family gatherings that make yours look like a regular night at the Cleavers’. Aside from the obvious benefit that reading is like a mini-vacation for the mind, it also confers some real benefits. Reading fiction makes you more socially aware and better able to understand and react to people and social situations. (Note to self: make entire family read some fiction before Thanksgiving dinner.) Mentally traveling into a story and its characters improves your ability to relate to people IRL (in real life) and builds a healthier, sharper mind. Laughs (on our end) abound as the neurotic Emily Glass tries to keep herself - and her wildly dysfunctional family - together during the seven days before her wedding. While preparing for Christmas at the Winter Street Inn, Kelley Quinn and his family find the holiday season thrown into chaos when three of his exes show up. Celebrating their 35th anniversary and their daughter's high school graduation during a two-week vacation in Mallorca, Franny and Jim Post confront old secrets, hurts, and rivalries that reveal sides of themselves they try to conceal. 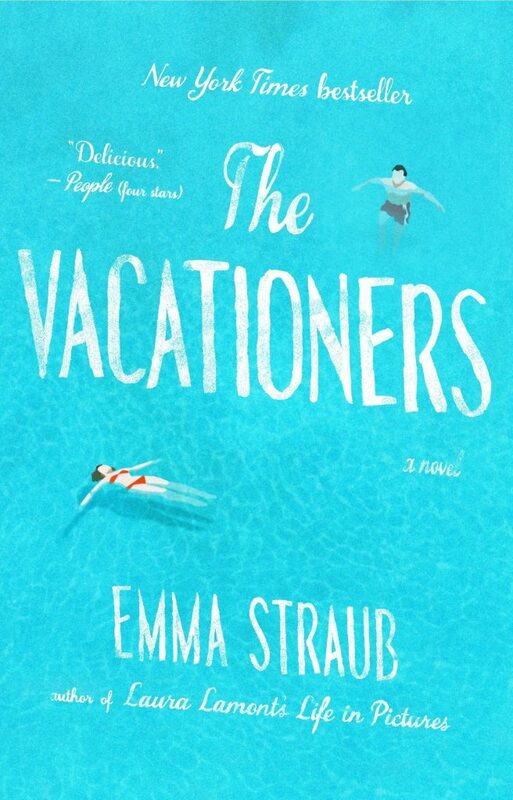 A warm, funny, and acutely perceptive debut novel about four adult siblings and the fate of the shared inheritance that has shaped their choices and their lives. The Whitshanks radiate togetherness, but the stories they tell reveal only part of the picture. Jealousies, disappointments, and secrets combine with moments of laughter and celebration for the lives of Abby, Red, and their four grown children. Caleb and Camille Fang are performance artists who instigate and record public chaos and trained their two children, Annie and Buster, to participate. As adults, the siblings are struggling to adjust to the real world, and then a final performance calls them back home. I have to throw in a few movies, too. You can watch Tortilla Soup and Reuniting the Rubins on Kanopy (our amazing streaming movie service) or borrow the DVDs of The Family Stone, Meet the Fockers, or The Royal Tenenbaums. Check these books and movies out with your library card, and visit us online at librarypoint.org. This column first appeared in The Free Lance-Star newspaper and is reprinted here with permission.